IN AN EFFORT TO RESTORE DOWNTOWN LYONS, PRESERVE ITS HISTORY AND KEEP OUR LOVE OF FOOD ALIVE, HARDWARE PIZZA IS FINDING ITS BEGINNING. The interior of Hardware Pizza still holds true to its hardware store origins but was given an urban facelift for a unique concept dining experience. When you are in hardware, it is easy to forget that you are in Toombs county.  Hardware’s team of chefs take a proud artistic approach to the food they so lovingly create for their customers while the rest of Hardware’s staff treat you just like you’re family. Nothing from April 26, 2019 to May 25, 2019.